Bowe Bergdahl discharged from the Coast Guard. Lt. Gen. David Petraeus and Lt. Gen. James Amos release the counterinsurgency (COIN) manual. Bergdahl enlists in the Army. Bergdahl completes basic training and reports to Blackfoot Company, 1st Battalion of the 501st Infantry Regiment at Fort Richardson, Alaska. The Haqqanis capture the journalist David Rohde. 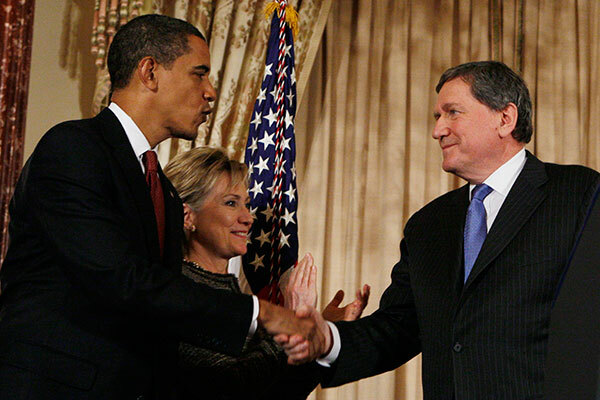 The Obama administration creates a new position—Special Representative for Afghanistan and Pakistan (SRAP)—and appoints Richard Holbrooke. 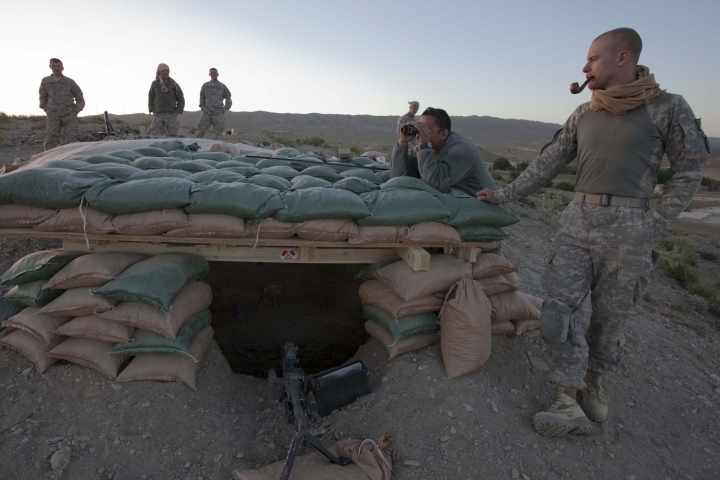 President Obama decides to increase the number of American troops in Afghanistan to 53,000, an addition of 17,000. Bergdahl’s battalion deploys to Paktika province in Afghanistan. Bergdahl stays behind in Alaska, due to an infection in his heel. Bergdahl joins his unit at FOB Sharana in Afghanistan. Defense Secretary Robert Gates says casualties among American and coalition forces and Afghan security forces are up 75 percent compared with the previous year. Bergdhal’s platoon is sent to Omnah. The mission, which was supposed to last a few hours, stretches into several days. Sean Smith, a photographer for the Guardian, takes photos of Bergdahl’s platoon that show some soldiers without their proper gear. Gen. Stanley McChrystal takes command of ISAF. 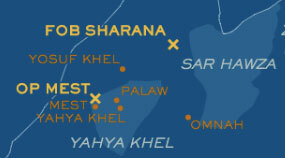 David Rohde escapes from captivity in Miram Shah, Pakistan. 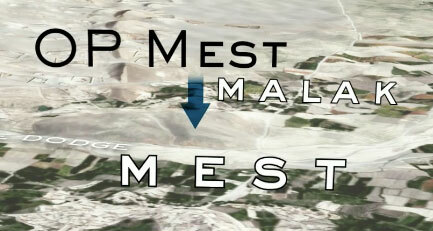 Bergdahl walks off his outpost, an action that triggers a DUSTWUN (duty status whereabouts unknown). The army changes Bergdhal’s status from DUSTWUN to missing-captured. The Taliban release first video of Bergdahl. Presidential elections are held in Afghanistan. The incumbent, Hamid Karzai, is eventually declared the winner. President Obama announces that he will send an additional 30,000 troops to Afghanistan. The Taliban release another video of Bergdahl. In a nearly eight minute video released by the Taliban, Bergdahl talks about the war and does a few push-ups, at the behest of the filmmakers, to show that he is healthy. Bergdahl said this was filmed near the end of his first year in captivity. Obama fires McChrystal as ISAF commander, after Rolling Stone publishes an article in which McChrystal is critical of the administration’s handling of the war. General David Petraeus is tapped to take McChrystal’s place. American and Taliban negotiators have secret talks in Germany where they discuss the possibility of reconciliation. A potential prisoner exchange is also mentioned. Talks continue on and off over the next several years. 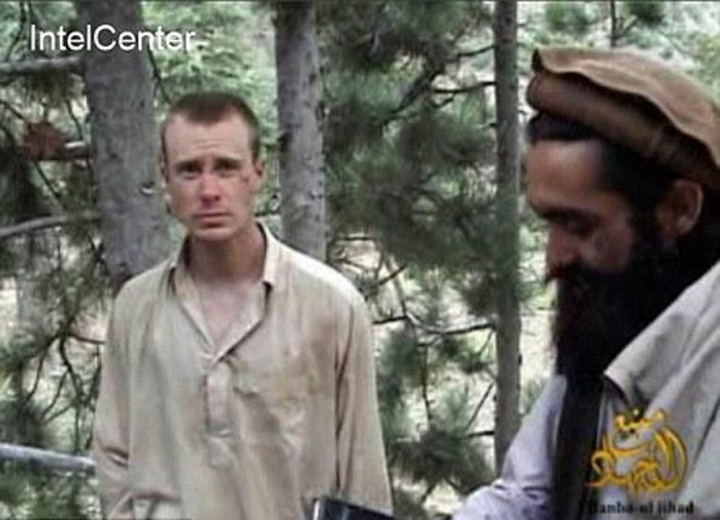 Footage of Bergdahl, with Mullah Sangeen Zadran, appears in a Taliban propaganda video. Bergdahl said the Taliban shot the scenes shortly after he was taken hostage. Holbrooke, the SRAP, dies—a significant setback for reconciliation talks. Secretary of State Hillary Clinton gives a speech at the Asia Society, which paves the way for talks with the Taliban. She announces Marc Grossman as the new SRAP. Obama announces that U.S. Navy Seals have killed Osama bin Laden in Abbottabad, Pakistan. 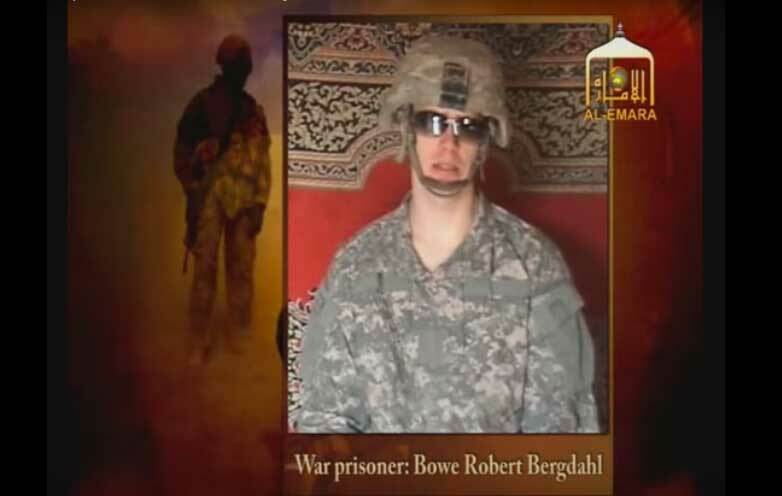 The Taliban release a video that includes footage of Bergdahl blindfolded. 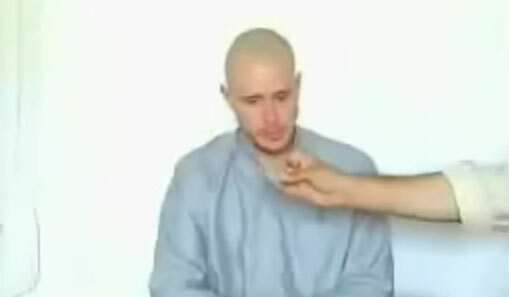 Bergdahl said this was taken soon after he was captured. 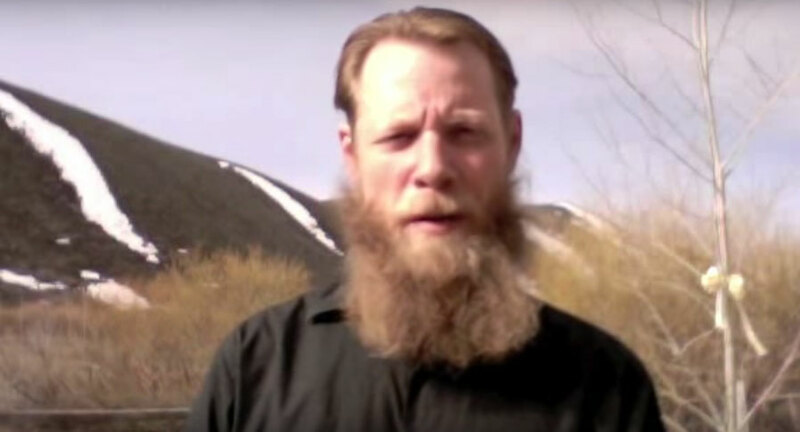 Bob Bergdahl uploads a video appealing to Pakistan to return his son. The secret Taliban–U.S. negotiations temporarily collapse after the talks are leaked to the press. Bergdahl is promoted to sergeant. 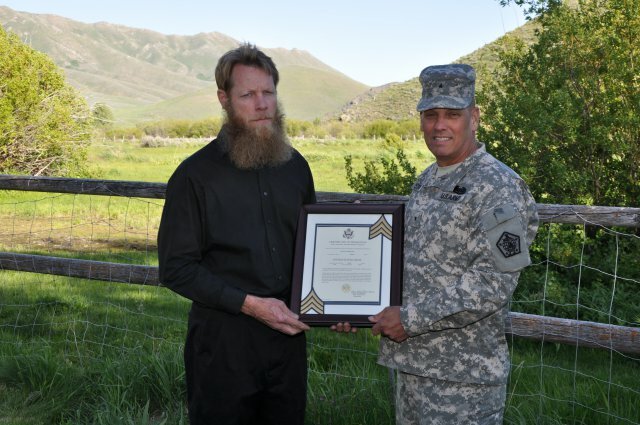 His father, Bob Bergdahl, above, accepts the promotion certificate. Obama announces a plan to draw down troops by the following summer, with the goal of bringing home 33,000 troops—approximately the size of the December 2009 surge. 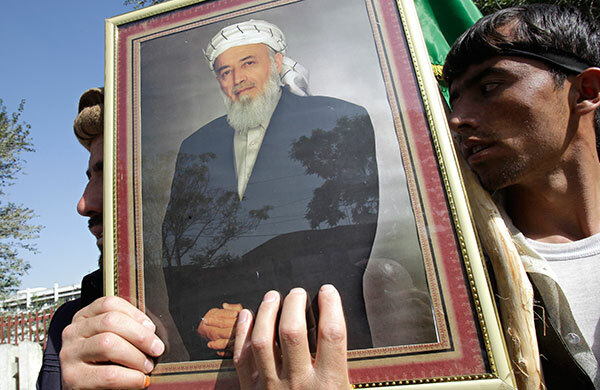 Burhanuddin Rabbani, the chairman of the Afghan High Peace Council, is killed by a suicide bomber. The assassination is a significant setback for Afghan–Taliban reconciliation talks. House Republicans are briefed on a potential deal to swap five Guantanamo detainees for Bergdahl. The plan is met with considerable concern. The Taliban break off talks with the U.S. Future talks are through Qatari intermediaries. The Obama administration designates the Haqqanis as a Foreign Terrorist Organization. Ambassador James Dobbins replaces Grossman in the SRAP office. 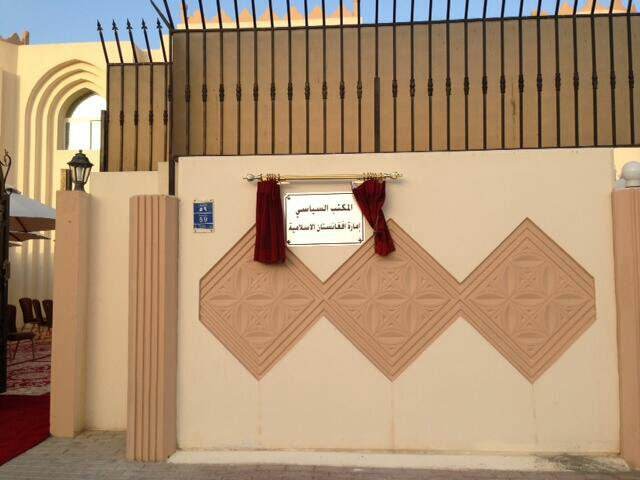 The Taliban temporarily close the office in Doha; attempts at talks stall again. Mullah Sangeen Zadran, Bowe’s captor, is reportedly killed by a drone strike. With Qatar acting as an intermediary, the Taliban and U.S. officials begin to talk about a prisoner release that is separate from reconciliation. The Taliban send a new proof-of-life video to the U.S. government, but it is not made public. American and Qatari officials continue discussions about a memorandum of understanding (MOU) stipulating the conditions of a potential transfer of Guantanamo detainees to Qatar. The MOU between Qatar and the U.S. is signed. The agreement requires the detainees to stay in Qatar for a year. The U.S., Qataris, and the Taliban agree on a final deal to swap five Guantanamo prisoners for Bergdahl. The Taliban release Bergdahl to a U.S. special-operations team. Five Guantanamo detainees are released to Qatari officials. Obama announces Bergdahl’s release in the White House Rose Garden, with Bob and Jani Bergdahl by his side. Congress receives official notification of the detainee transfer. The president announces the end of the combat mission in Afghanistan. The army charges Bergdahl with desertion and misbehavior before the enemy. U.S and Qatar agree to extend the travel ban on the five former Guantanamo detainees involved in the swap. 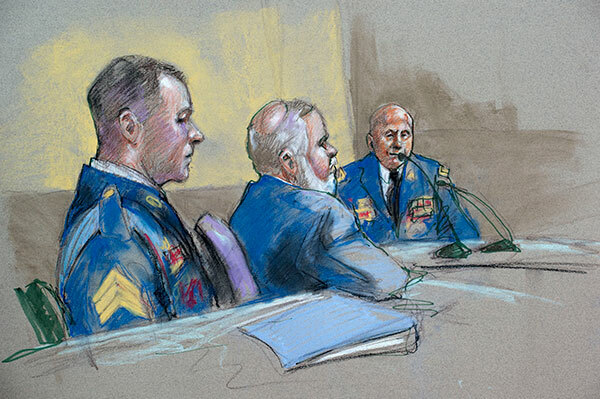 The army conducts an Article 32 hearing on Bergdahl’s charges. Obama announces that 5,500 troops will remain in Afghanistan through the end of his term in 2017. Special-operations teams also take on a larger combat role. The Army refers Bergdahl’s case to a general court-martial.